BOO! Owl’s favorite holiday for sure! Be safe out there and inspect all candy and make sure all Hundred Grand bars go to your parents!!! Help a small child today! Ok, maybe it’s a dramatic title, but I guarantee that there is a little kid somewhere devastated that he or she is without their bunny right now! I wrote a post a long time ago about security objects and seeing this stranded bunny, which was actually in the middle of the street next to a car, I was immediately heartbroken for the child who is most definitely longing for this stuffed animal. That’s why we have these connections, they are grounding to us and let us know that everything is ok, or at least will be ok as long as these objects are with us. It’s just like having a Totem in your pocket! A lot of our Totem owners say they don’t go anywhere without their Totems, and part of that is just the comfort of knowing it’s with you in case there’s a situation that may become overwhelming. Of course, it’s always best to have more than Totem, or security object, because you never know when you might lose one or need to lend yours to someone else in need. 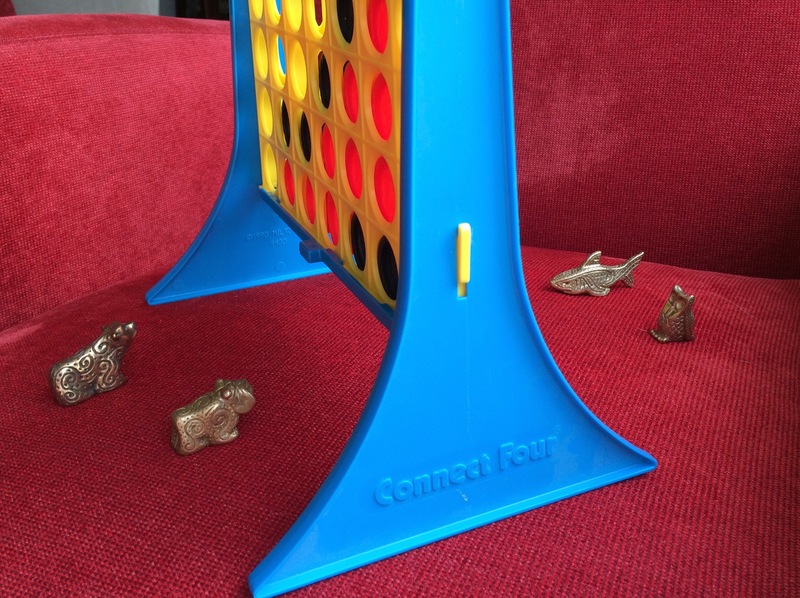 Get a Totem today at https://totemtamers.com/shop! Let’s see if we can reunite this bunny with it’s caretaker and I will gladly award the child with a Totem of their choice!!! This is of course in NYC near the PS 199 school playground. Share and hopefully by this afternoon we will have good news! #NationalPuppyDay although it’s puppy day in my house everyday! Seriously, there’s a day for everything, and I’m sure there’s even a day for things that don’t have an actual official day! On this day, when there’s much to be worried about, concerned about, and upset about though, let’s try to find some cheer, and what better way to do that than to talk about our puppies! It’s National Puppy Day! This is a day to commemorate puppies, and pet adoption, and to celebrate our dogs. Sure, there’s Totem Tamers official puppy, Bulldog, and there’s no better calming friend than that. As much as I love Bulldog, my life wouldn’t be complete with our furry, four-legged, family friend, Zeke! Here he is with his very own puppy! Yes, it can be hard to have to get up super early to walk the dog in the middle of the winter with the freezing cold, but the snuggles and cuddles make it all worth it. Zeke has a job in our house, he is the official waker-upper! I promised my middle that I wouldn’t post the picture I took yesterday of Zeke pouncing on his bed and waking him up with a face full of kisses. It was perfect. So let’s celebrate our puppies of all ages and sizes and if you don’t have one, adopt one! So many need homes and have so much love to give. Visit http://www.adoptapet.com and maybe you can find a puppy of your own. You can always start by adopting a Bulldog Totem, too! Today is the day to salute all of our four-legged family members that “arf” and “woof”! 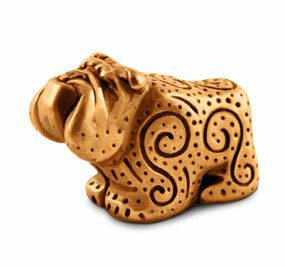 Of course the beauty of Bulldog, other than a shiny bronze coat, is the silent loyalty that comes along with a Totem! Bulldog on National Dog Day! However, my sweet puppy is another story, his coat is Bronze-like, but his voice is definitely much bigger than Bulldog! Bulldog and my pup do offer the same kind of calm though. 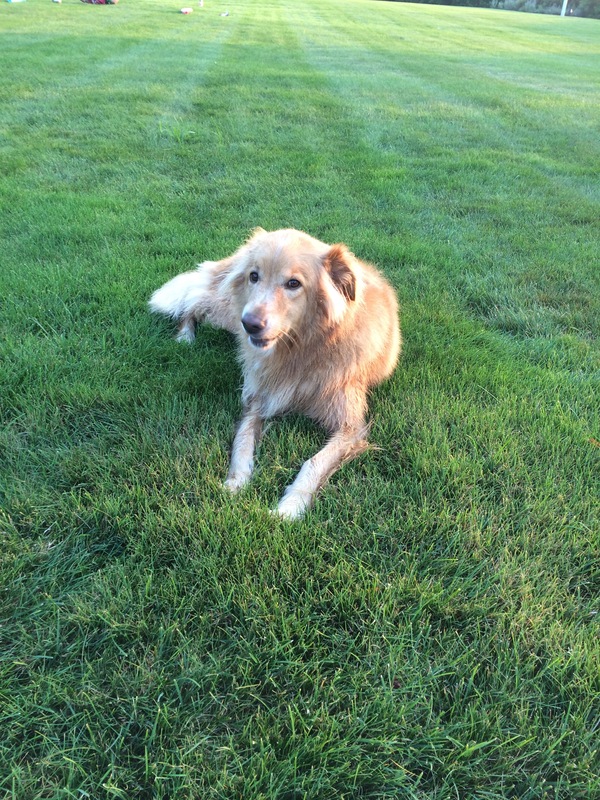 Zeke on National Dog Day! Need a Bulldog to help you celebrate? Head to our store and get one today!! 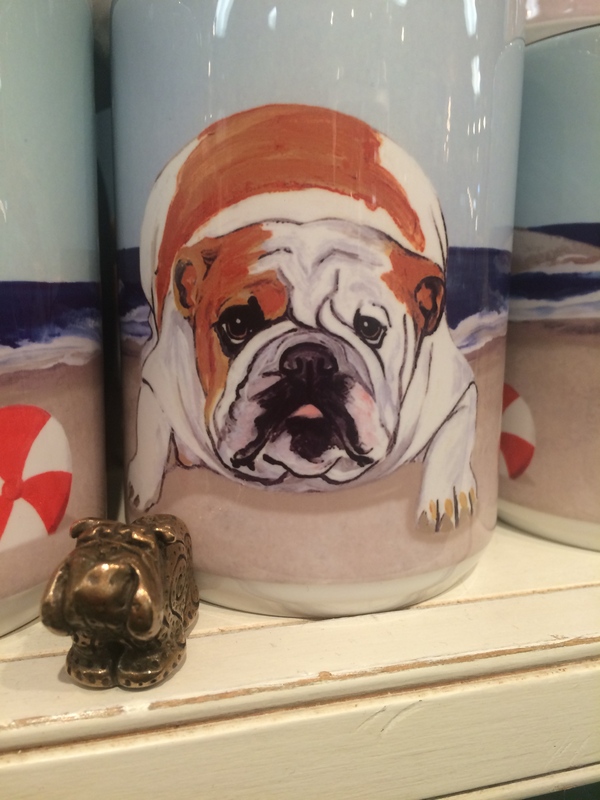 Totems Around Town: Bulldog on the loose! I usually carry my Totems with me everywhere. Not just because I may encounter a situation that requires me to take some deep breaths and stay calm, but also because you never know when you’re going to have a photo op!! I was out with Bulldog the other day, and wouldn’t you know that just such an occasion arose. Salt and pepper, here! With a little spice in the middle! Bulldog faces are so expressive and can reflect any mood they are exposed to. These Bulldogs are clearly all smiles!! Where will you take your Totem? Send any pictures to julie@totemtamers.com. Don’t have a Totem to take around town? Get one today! Just click on any of the Totems on the side of the page and head over to our store to order yours! Thank you. What do we connect for? Does there have to be a purpose in the connections we make? Does it matter how long the connection lasts for it to have a lasting impact? These are some questions I consider regularly as I move through my day making connections. For example, why did I let my dog sit on the sidewalk and wait for a family to come up the block so they could pet him? Turns out, that it was a much needed connection. A family of three kids, and one of them turned out to be very allergic to dogs and it forced them to give away their beloved pet. The mother cringes as she remembers how difficult it was for the whole family. As we all walked up the block talking, the oldest boy was all over Zeke (that’s my beloved pet), and the twin girls kept asking if they could walk the dog. It was sweet and cute, but it wasn’t until they were headed on their way that the connection became clear. They all thanked me, and Zeke of course, for the petting opportunity, and before going in to the playground, the boy looked at me and said “We had to give our dog away. He was a Bulldog.” Ding ding ding ding!!! A huge grin crosses my face as I call the mother back to let her know that they can in fact have a Bulldog once again!!! I left her with Totem Tamers information and look forward to getting those kids a Bulldog Totem so they can remember their family dog. That’s why we connect! That’s why most connections have a purpose. It may not be for you, but it may in fact, be for the person on the other side of the connection. That means that every connection you make has meaning and purpose no matter how long or short, no matter positive or negative. 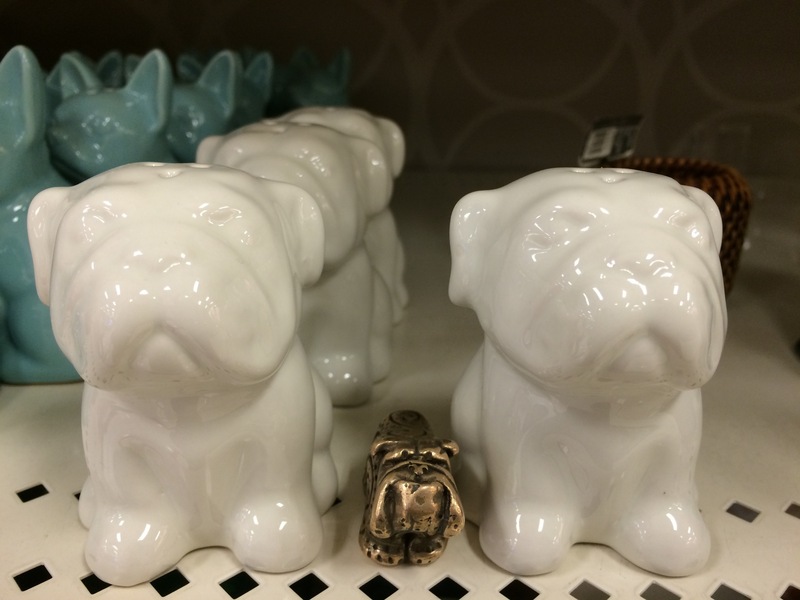 Sometimes the meaning is immediately clear, the Bulldog story is a perfect example of that, and sometimes it may take weeks, months, even years before you figure out what the purpose of a particular connection might be. Point being, don’t be afraid to connect. Don’t close yourself off to experience because you’re afraid of being hurt, or disappointed, or rejected, or anything! Allow yourself to make connections and to create connections, even for other people. There’s a great satisfaction that comes out of being the conduit to connection, as well. So get out there and discover what you have to connect for! Totems are great connectors! Get one today by clicking on any of the Totems on the side of the page and visit our store. Bulldog finds a pal to hang out with!! C’mon, don’t tell me you’ve never imagined what your Bully’s voice would sound like if they could speak?! Taking your Totem Around Town? Send us a picture to julie@totemtamers.com. Don’t have a Totem, just click on any of the images on the left side of this page and get one today!